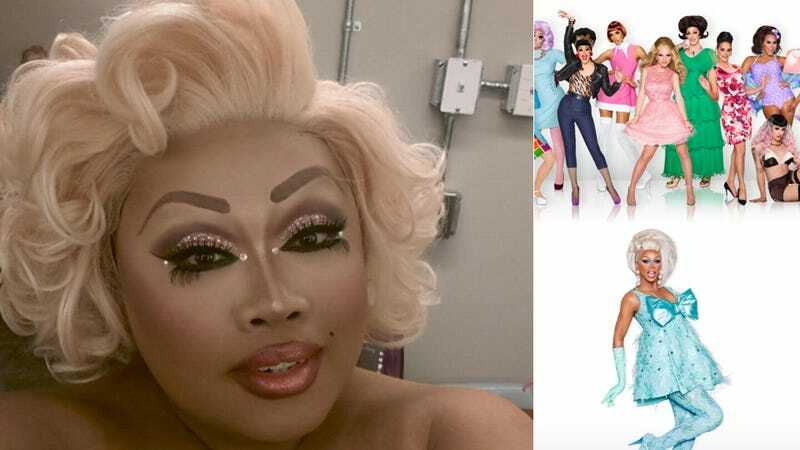 Shanté, You Stay: It's Jezebel's RuPaul's Drag Race Live Blog, Starring Jiggly Caliente! Some people have Christmas; some of us at Jezebel have Drag Race. Because baby Hay-Zeus don’t come but once a year, we’ll be here all night, liveblogging/celebrating the Season 8 debut of RuPaul’s brilliant reality competition baby, in which drag queens from all across the US and Canada compete to become the next drag superstar. And BECAUSE we love it so much, we’re thrilled to invite one of our Season 4 faves, the illustrious, exuberant and gorgeous Jiggly Caliente to liveblog alongside us, dropping whatever jokes, insider knowledge jewels, and jumpsplits she’s got in her whipsmart bag of tricks. Come on through as we liveblog... for our lives.